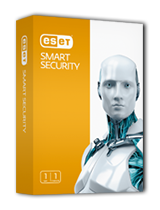 ESET's award-winning security products have protected millions of users from all around the world for over 22 years. At Disking, we've spent many years repairing virus infected computers and our experience leads us to only ever recomend ESET's products. 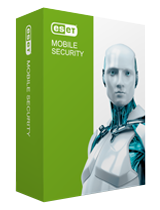 ESET Anti-Virus solutions are available for your Windows PC, Apple Mac, and Android Smartphone, giving you complete protection for every device in your life. 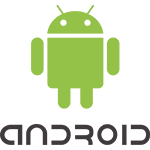 At Disking, we use ESET exclusively on all of our office and workshop computers, we even use it as our first line of attack against any infected PC we repair! If you've already purchased an ESET license from Disking you can manage it through your online account by clicking here. Once you've registered you will be able to purchase new ESET licenses, add users to existing licenses and renew any license that is due for renewal online. Explore the great online with ESET's all-in-one security solution, ideal for home PCs and portable Laptops. With multiple layers of security features on top of ESET’s legendary Nod32 detection technology, ESET Smart Security is ideal protection against new and targeted malware. Including all the features of ESET Nod32 plus a Smart Firewall, Theft Protection and now with Banking and Payment Protection to secure your personal and financial data. Explore the Internet with ESET's industry-leading anti-malware solution, ideal for home PCs. Designed to be as light as possible on your system, it’s built on ESET’s legendary Nod32 detection technology providing you with unparalleled protection. 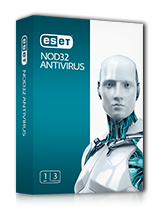 ESET Nod32 includes active virus, trojan and malware protection, ESET's special gamer mode that lets you play without interruption and plus Anti-Phishing tools to help block scammers. ESET's business grade security suite offers the best of both worlds; professional end-to-end security and flexibility configured in a simple to deploy package. Ideal for small businesses, ESET's Endpoint protection is available from 5 seats up to 25 seats per license. Featuring ESET's award-winning Nod32 protection, ESET Endpoint Security includes all of the features of ESET Endpoint Anti-virus plus a personal firewall and Anti-theft protection, making it ideal for portable devices. 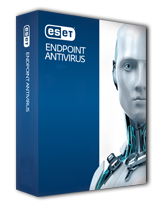 Featuring ESET's award-winning Nod32 protection, Endpoint Anti-virus also includes Anti-phishing protection, access to the ESET Remote Administration tools and FREE local support! ESET Cyber Security Pro seamlessly adds another layer of security to your Mac’s built-in defences, protecting you against Mac-targeted attacks, hackers and other threats while shielding your kids from inappropriate web content. 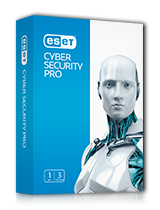 ESET Cyber Security Pro includes all of the features of ESET Cyber Security plus ESET's Smart Firewall, Theft Protection and advanced Parental Control tools. Protect your Mac with ESET Cybersecurity. ESET Cyber Security seamlessly integrates with your Mac's existing defenses to deliver proactive protection against the latest threats without compromising performance. 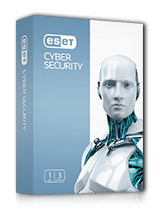 ESET Cyber Security also includes improved Anti-Phishing technology, Removable media control to protect your USB devices and automatic virus definition updates plus FREE local support! 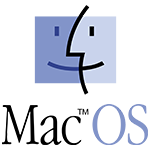 Your mobile devices probably contain as much personal info and important data as your computer—maybe more. And think of all the photos, videos and music you keep there. Safeguard everything you store or access via your phone and protect against ransomware with ESET’s powerful antivirus and antispam. Screen out unwanted texts and calls with your own personalized settings. Locate, track and lock your devices if they’re lost or stolen, and improve your chance of recovery. 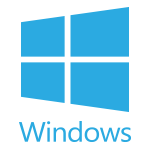 You can even erase data on your device remotely in the event that it is lost or stolen.